This is actually a really horrible story. 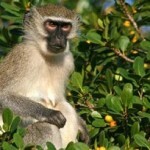 A vervet monkey was killed and burned in South Africa by a mob who was convinced it was a witch. Bonus awful points – the police helped out by shooting at the monkey. It reported that the monkey wandered into the settlement last week Monday, May 23, and was pelted with stones, shot at by police, and then burnt to death. Moswetsi was woken up by friends on Monday morning and told about the monkey. They said it was going around Kagiso “talking to people”. Hopefully this is not foreshadowing for the monkeys if they ever actually do develop the ability to speak. I am not even really sure where to start with this one. 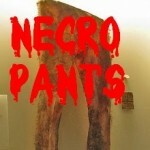 Apparently, the Holmavik Museum of Scocery and Witchcraft in Iceland contains a gruesome exhibit called the necropants. Let us just cut to the chase – these are pants made from the skin of the lower half of a dead person. When worn, these pants would produce money as long as a coin stolen from a poor widow (!) was placed in the scrotum. It was believed that the necropants would spontaneously produce money when worn, as long as the donor corpse had been stolen from a graveyard at the dead of night and a magic rune and a coin stolen from a poor widow were placed in the dead man’s scrotum. The museum website is mostly in Icelandic and Google translate is really sketchy, but you can also learn all about the Icelandic witch trials of the 17th century. Side note: the witches from Iceland had farting runes (Fretrúnir) that they used against their enemies. Catholic Church Persecuting Witches Again! 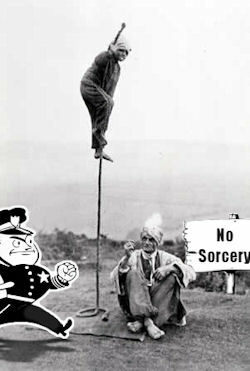 You thought the Catholic Church was done persecuting witches. Well, they are at it again, this time in Stockport, UK. High Priestess Amethyst Selmeselene (also known as Sandra Davis, grandmother of 11) attempted to rent out “Our Lady’s Social Club” for her group’s annual Witch’s Ball. When she went to pay for the venue she had secured, she was turned away and told that the Roman Catholic Church, which owns the facility, had blocked her from renting the center. Her goal was to attract a crowd of people to do obscene and ungodly things like have a buffet dinner and dance to an ABBA tribute band. Though we can fault High Priestess Selmeselene for her taste in music, we can’t fault her for wanting to get down and have a good time with her women’s group. The Roman Catholic Diocese of Shewsbury told Ananova News that “Parish centers under our auspices let their premises on the understanding users and their organisations are compatible with the ethos and teachings of the Catholic church.” And apparently that means a no go for pagan partying. When will the Catholics leave those poor witches alone? When will they finally be free to dance to bad eighties music while talking shop around a bubbling cauldron? I guess the Church decided that if they can’t burn them, they should at least be able to ban them from their rec. center. A Witch’s Bottle is a 17th century device believed to absorb and retain evil. Of course it was not the bottle itself that attracted evil, it was the witch’s potion held within it. 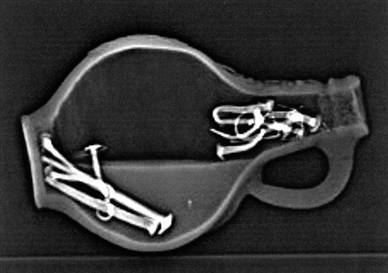 When British researchers uncovered the most intact bottle ever discovered, they were sure to do a CT scan to identify its contents. Score one for all you witchcraft urine masters out there! “More than 10 villagers have been suffering from an unknown fever for the past two months. There is no sign of improvement despite medical treatment,” said a villager on condition of anonymity. “In the past, alleged witchcraft has claimed many lives in our locality. We suspect this may as well be the act of a witch,” he added. The villager said the women are putting up with relatives in other villages. “The men are now in search of a powerful tantrik, who can counter the evil spell and also punish the culprit,” he said. Ten bucks says, that if they are looking to pay a tantrik to confirm their suspicions, they will find a witch real fast. Superstition abounds in rural India, often ill-understood illnesses are attributed to witchcraft and sorcery. Those determined to find a witch are going to find a witch, and local authorities are concerned that yet another innocent person is going to be murdered in the region by superstitious villagers. In 2007, three women and a man were beheaded in the nearby village of Pratappur after they were accused of sorcery. -For more on North India witch hunts and murders see the documentary “Indian Witch-Hunt” by author and journalist Sohaila Kapoor. You are currently browsing the archives for the Witches category.